We thought the various state houses of assembly would justify their mandates but that has not been the case. 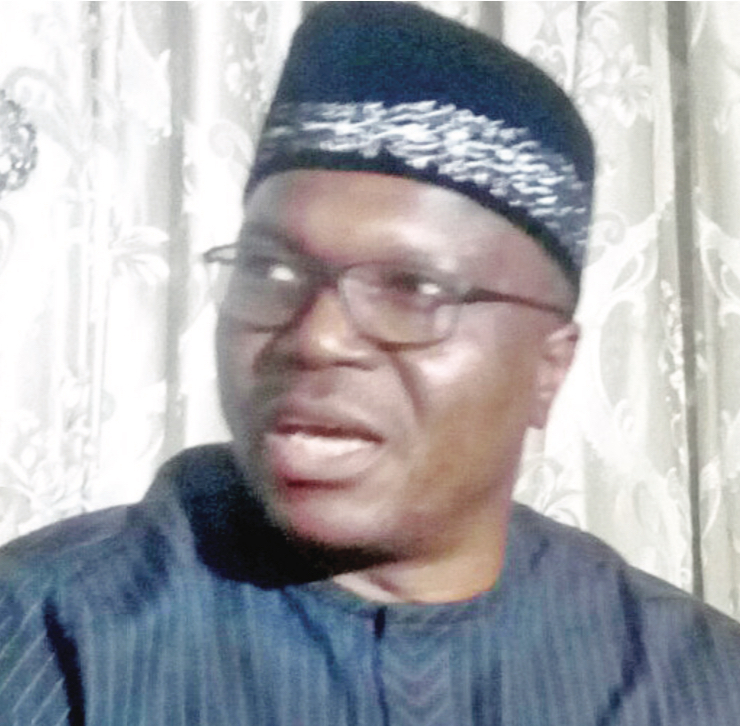 Comrade Bobboi Kaigama is the national President of Trade Union Congress (TUC) and a governorship aspirant on the platform of the All Progressives Congress (APC) in Taraba state. He speaks on new minimum wage, Taraba politics and other national issues. In the event that the Federal Government and state governors insist they cannot pay the N30, 000 new minimum wage, what would be the next line of action for Organised Labour? As far as we are concerned, on the issue of minimum wage, we are on a boulevard. The procedure is that, the tripartite committee presents its position to Mr. President and he would present it to the Federal Executive Council (FEC) and National Economic Council (NEC) and then to the national assembly. The national assembly would look at the bill we have drafted, make necessary amendments if need be and then pass it to the president for accent. To us, it is a procedure we are conversant with. With regards to the issue of some state governors saying that they cannot pay the new minimum wage, I keep saying that these governors should go back to their states and tell their workers that they would not be able to pay. We know them, and they are very few. In fact, you can just talk about the governor of Zamfara State who is the Chairman of Governors Forum. But he should speak for himself because most of the governors are willing to pay. We are aware of the fears he has and he has created the problems himself. How can you imagine a state as small as Zamfara having over 45 Permanent Secretaries? And he is paying them over N500, 000 each monthly. What are they doing? He has over a 100 aides that he is paying huge sums of money. What are they doing? And then he has gone further to employ so many people in the name of civilian JTF, over 8,000 of them and he is paying them N15, 000 monthly. Where did he get the money to pay them from? Is he preparing thugs for the 2019 general election? So the issue is about good governance, it is about prudent management of resources and building on Internally Generated Revenue (IGR), to supplement what is gotten from the federation account. Like we keep saying, any governor who thinks he will use the IGR as their pocket money or money for the boys is dreaming. Their times are up. You either do it right or give way for people who are prepared to serve their people. What is your take on the clamour by state governors for the review of the current revenue sharing formula so that more money would go to the states? As far as I am concerned, the organised labour would be the last to support the governors because the little they have been given, what are they doing with it? So why would you give them more, so that they can steal more? With due apology to the few governors who are doing well in managing their resources for the benefit of their people, most governors are just a shame, and we are calling on them to retrace their steps because Nigerian workers are prepared to send them parking with their PVCs. You know that even the last time we had some states who complained that they would not be able to pay the minimum wage of N18,000, today, all the states are paying it. Of course you know that we have the challenge of those who have mismanaged the resources of their respective states as a result of the monumental wastages they indulge in towards the 2015 election and that is the backlog they are carrying over now. The Federal Government is very magnanimous, giving them budget support, bailout funds, Paris club refunds and yet, you cannot see them identify any particular project they have used the funds for. Instead, you see them chattering jets all over the place with bills accruing to over N10 billion as burden on the state. You see people who are using the funds to buy luxurious houses and hotels across the country. But what we are saying is that, if you cannot manage the available resources, what guarantee is there that when you are given more money, you will be able to manage them effectively? That is why we are calling on our members to make sure that they make their PVCs count. We thought the various state houses of assembly would justify their mandates but that has not been the case. We are working closely with the anti-graft agencies to make sure that at the fullness of time, they account for all the money released to them. Don’t you see the insistence on the new minimum wage as a prelude to possible retrenchment? Well, I don’t see any need for that. We sat down and analysed the situation critically before we arrived at this figure. Those talking about retrenchment are those crying wolves where there is none. The question we keep asking is that what are they doing with the money? Away from Labour matters, you participated in the recent APC governorship primary in the state and nine of you lost to Alhaji Sani Danladi. Are you satisfied with the process that led to his emergence? Well that is APC internal affairs. We have issues with the primary and have presented them to the highest authority and we are anticipating decision of that authority. If in the end the party decides that he remains our valid candidate, we would rally support for him and the party to fight the common enemy of democracy in our dear state. Party supremacy means that we make our personal ambitions subservient to party interest and decision. So it is not so much about my ambition. Is it true that you lost the APC ticket because it went to the highest bidder? Well I don’t want to see it as a cash and carry affair because it is a general complain across the parties, but some of us are so principled that we cannot afford the luxury of throwing money around. If my integrity and credibility would not win me the support of my people, then I am not interested. Of course our democracy is still growing and we all want to see ourselves in the Promised Land. We all want to see that charlatans who have no interest of their people at heart are curtailed from controlling the system. That is why some of us are now dabbling into politics. I am aware that just a few weeks ago, my state governor made some frivolous press releases against me and I just laughed. I said at the right time, we would address the issues. For now, they should continue fooling around and throwing money here and there. Once the whistle is blown, we would show them what is called issue-based politics. We are aware that no gratuity has been paid in the state for the past three years or thereabouts. We are aware that governments have been setting aside a minimum of N200 million monthly for that purpose. We have never seen that in government. But there is no problem. At the right time, we would expose everything and look at it objectively. The APC candidate in Taraba is standing trial for corrupt cases. Don’t you think this would affect his chances? You know, we have always maintained a definite position that everyone should answer their mother’s name once it comes to corruption allegations. We call on all the anti-graft agencies to wake up to their responsibilities and live up to the expectations of Nigerians. Everyone involved should be treated with seriousness, irrespective of party affiliation. Having said that, you are aware that he is presumed innocent, until proven guilty, so that is not an issue. What is your take on the rift between APC national chairman and its governors? That is part of political evolution. We are bound to have such crisis and it is across board, not just in the APC. You know party politics is all about who outwits the other. But we have this issue because our democracy is still evolving. However we urge our political gladiators to play the game such that we can bequeath a worthwhile democracy to our people. And then the political parties should have internal mechanism for a peaceful resolution of some of these issues rather than everyone taking to the media to fight their wars there. What is your take on the continuous face off between the security forces and the members of the IMN? It is a very pathetic case but we in the organised labour believe that the Nigerian constitution is supreme. If there is any form of religious sect that would want to go against the constitution of the land, of course we would never support that. So we urge the appropriate security agencies to do their job and do it well. We would however advise them to exercise restraint when it comes to the use of maximum force. Our religious leaders too must realise that Nigeria is a circular state and so you cannot impose any religion on the society. The constitution gives everyone the right to operate without molestation. But we must understand that where your right ends, that’s where someone else’s begins. We must also begin to see security as a collective responsibility rather than the exclusive preserve of security agencies. We should be able to give intelligence to the security agencies to enable them do their work well, that is while some of us are strongly advocating for community policing where the structures that are obtained at the community levels would get actively involved in policing of their respective communities. And most importantly, government must create jobs for the teaming youths so that they would be gainfully employed and would not be used by religious bigots. What is your take on prevalence of hate speech in the country? We are talking about hate speech now because it has become very rampant, all thanks to the social media that has made social interaction so easy. That goes a long way to show you that for every great innovation, there are always the flip sides of it. However, our call is for the national assembly to put in place laws that would regulate our social interaction on the social media platforms. All these absurd and irresponsible things we see on the social media are because there are no laws on ground to moderate them. But the national assembly should put laws in place to check the excesses of social media interaction.